MARCOS have gradually acquired experience and a reputation for professionalism over the three decades it has been in existence. Some MARCOS personnel are also attached with the Army Special Forces units conducting counter-terrorism operations. 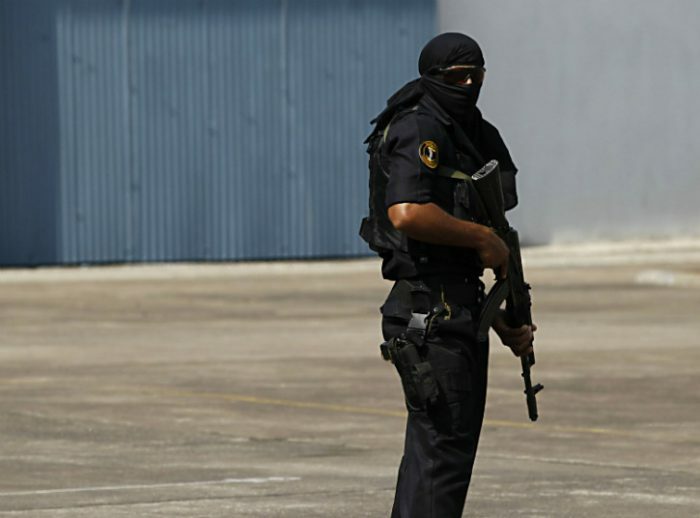 MARCOS are widely feared among the terrorists, who call them “Dadiwala fauj”, meaning the “Bearded army” because of their bearded disguise in civil areas. The MARCOS are capable of undertaking operations in all types of terrain, but are specialised in maritime operations. The force has undertaken numerous joint exercises with Special Forces from around the world. The MARCOS presently has approximately two thousand personnel, though its actual strength remains classified. During the Indo-Pakistani War of 1971, the Indian Navy supported the the Indian Army by landing an army brigade using Polnochny class landing ships. They dint face much resistance from Pakistan. Before this operation, Indian navy divers provided basic training in underwater demolition to Bengali insurgents. However, this did not yield expected results. 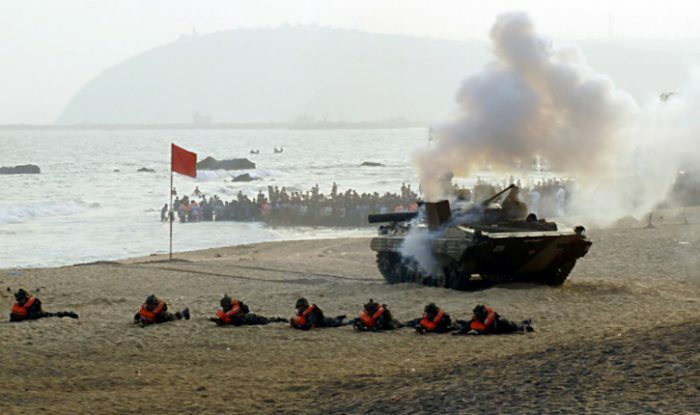 Later, different Indian army units were assigned amphibious roles in exercises. 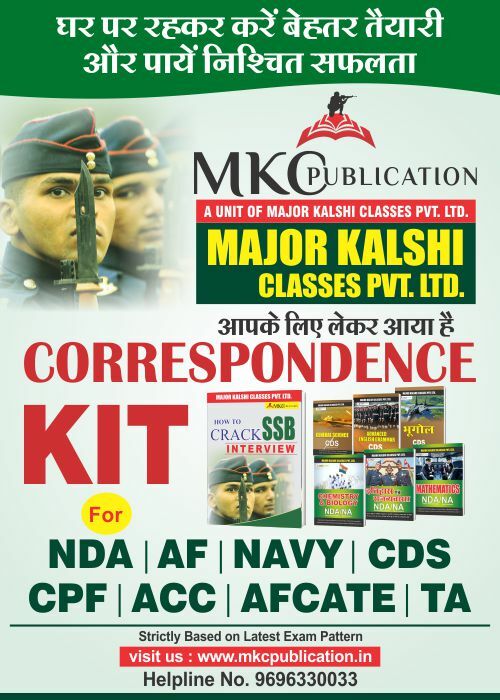 Indian Armed Forces were feeling the need of specially trained soldiers for underwater operations for quite some time now. 1983, the 340th Army Independent Brigade based at Trivandrum, was converted to an amphibious assault unit. 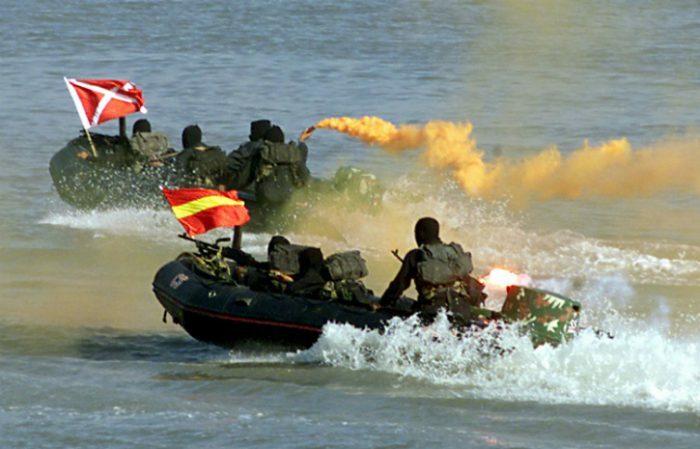 After that, the navy has conducted various exercises to demonstrate its amphibious abilities. These assault operations included both airborne and amphibious forces. 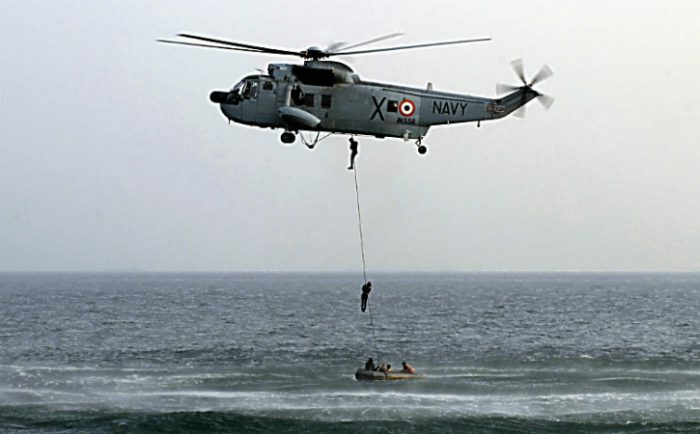 In April 1986, the Indian Navy started planning for a Maritime Special Force unit, which could conduct amphibious raids and counter terrorist operations. Indian Marine Special Force (IMSF) was officially established in February 1987. The first batch of marine commandos qualified in February 1987. 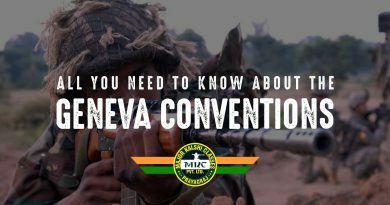 It was later renamed as the Marine Commando Force (MCF) in 1991. 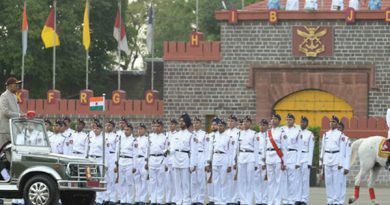 Majority of the training is conducted at INS Abhimanyu which is also the home base of MARCOS. Any Indian Navy personnel who wants to join this outfit must first undergo a three-day long, physical fitness test and aptitude test. Within this process, 80% of the applications are screened out. Further screening process is known as ‘hell’s week’. This involves high degree of physical exercises and sleep deprivation. It is only after this process that actual training begins. The total duration of training of MARCOS is between two and half to three years. The basic training lasts six months. The first two months is the weeding out phase in which they undergo many rigorous physical tests and only 50 percent candidates pass. Then for the next nine months, they are taught how to use different types of weapons, conduct special warfare techniques and how to gather intelligence from the enemy. The cadets start with basic diving and commando tactics and skills. Then they learn firing while lying down, standing, running full-sprint, even backwards and looking into a mirror – with a reaction time of 0.27 seconds. 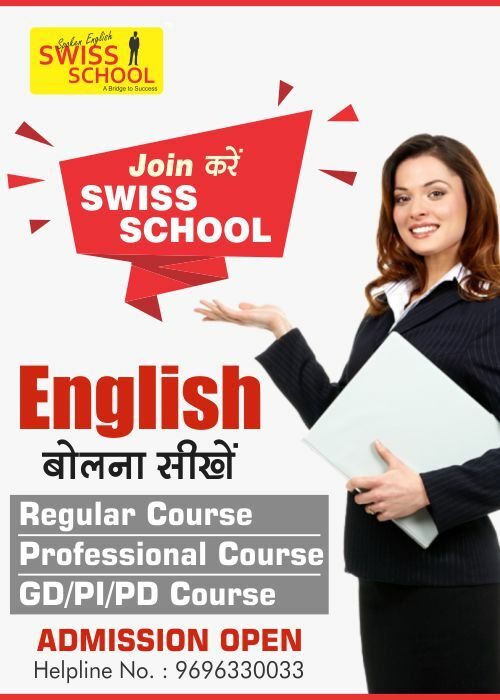 This is followed by a year of training of specialised skills. A notably rigorous training program is the “death crawl” – an 800-metre struggle through thigh-high mud, loaded with 25 kg of gear and after a 2.5 km obstacle course that most soldiers would fail. After that, when the trainee is exhausted and sleep-deprived, he has to undergo the final test – shooting a target 25 meters away, with a partner standing next to it. Bare Hands. (Being divers, they can reach hostile shores swimming underwater. To strengthen its capabilities to carry out special operations, the Navy is planning to procure advanced Integrated Combat System (ICS) for the MARCOS. The Navy wants the ICS for effective command, control and information sharing to maximise capabilities of individuals and groups of the MARCOS while engaging enemies. The ICS will provide enhanced capabilities such as tactical awareness, ability to fight in hostile environment and can enable Group Commanders to remotely monitor and control operations. 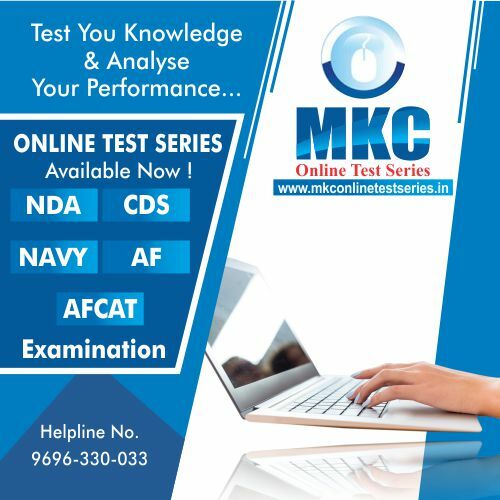 The MCF currently operates out of the naval bases at Mumbai, Visakhapatnam, Goa, Kochi and Port Blair. There are plans to shift the current training facility at the Naval Special Warfare Training and Tactical Centre to a new facility to be set up at the erstwhile Naval Academy in Goa. On July 12, 2016, the naval base INS Karna was commissioned near Visakhapatnam as a permanent base for the unit. Israeli Tavor TAR-21 assault rifle to which a 40 mm grenade launcher can be attached. The TAR-21, weather sealed, so a MARCO can emerge out of the sea, draw weapon and ready to shoot. OSV-96 semi-auto heavy caliber anti material rifle. Apart from the weapons, they also operate two man submarines, the Italian CE-2F/X100, for conducting covert underwater operations.